As of this morning, June 15th, 2018 Donald Trump has announced some news that there will be tariffs on $50 billion worth of Chinese goods. He’s also said that if the Chinese retaliate even more tariffs can be put in place. “In light of China’s theft of intellectual property and technology and its other unfair . . .
On Thursday, July 26, Amazon reported its Q2 earnings and unsurprisingly exceeded investors’ high mid-year expectations. According to Amazon [R], net sales increased by 39% to $52.9 billion in Q2, compared to $38 billion in Q2 of 2017. Quarterly earnings were at $5.07 per share (and shares rose by 2% on Thursday night, after this . . .
With worldwide Amazon sales continuing to grow, there is also an expanding number of sellers that decide to focus a good portion of their online marketing efforts on Amazon. 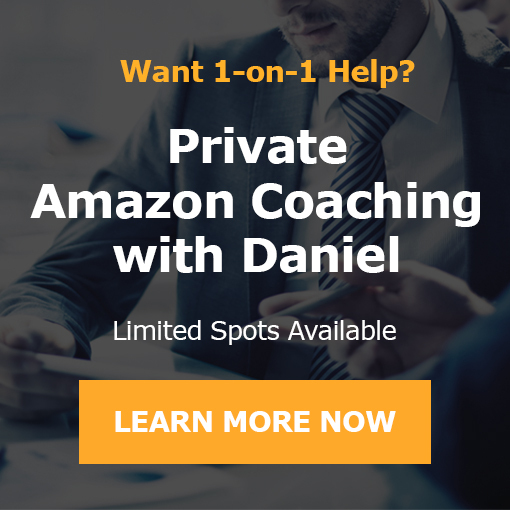 In 2016 and 2017 we saw a very noticeable increase in solutions aimed at helping sellers achieve success on the Amazon platform, which also contributes to . . .
﻿﻿﻿ Summary In this video, we speak with our “legendary” Ryan & Daniel student Dan, who started his journey selling private label products on Amazon about four years ago. Dan and his wife Monica have since worked diligently to bring their brand to life and now make about $400,000 a month in sales. Dan . . .
﻿ In this article, I’m going to show you our process for sourcing quality products from China and how to properly work with Chinese suppliers to ensure you get the best products done the way you want them, on time and without any issues. This is one of, if not the most important part of . . .
Todd Herman, the founder of the 90 Day Year has just made a big announcement as part of the limited December 2017 enrollment to the 90 Day Year achievement system. On December 14th, 2017 he’s going to be doing a very unique content packed Live Stream for you (details below). Here’s the link to join live at 11am ET. . . .
Did you hear? Amazon’s private label business was projected to boost revenues to $25 billion by 2022. Private label brands are actually the fourth most bought clothing or footwear ‘brand’ on the platform (they were beat out only by Nike, Under Armour and Hanes). $25 billion. That’s huge. And this obviously exciting news for shareholders . . . In this article, I want to share with you the most important elements of an Amazon FBA Private Label product listing and how to really build one that gets traffic and converts, which are two of the most important roles of an Amazon FBA Private Label product listing. This is an incredibly important topic and . . .
Limited December 2017 Release of Todd Herman’s 90 Day Year Playbook Edition Todd Herman the creator of the 90 Day Year achievement program is opening the playbook edition of the 90 Day Year from December 18th until the 20th at 11:59 PM. During this limited re-open, you can secure your spot into Todd’s flagship training . . .
Summary In this video, we sit down to chat with Ryan and Daniel students Ivan and Sasha, two dads who went from $700 to $100,000 in sales with their own private label on Amazon. They started with just that small $700 investment, and by reinvesting profits from the product sales, they now have enjoyed hundreds . . .